Chinese giants will work together on AI technology and internet services as well as content. Huawei and Baidu have signed a strategic agreement with the aim of building an open mobile AI ecosystem. The deal will see the two companies will work together in fields like AI, technology, internet services, as well as content, with autonomous machines and autonomous driving also mentioned. The open ecosystem will be created through Huawei's HiAI platform and the neural network processing unit. On the other hand, Baidu will provide the joint union with PaddlePaddle deep-learning framework and Baidu Brain (its AI). Developers will have access to this tech, it was said. The two companies will work on creating advanced voice and image recognition technology, as well as a number of consumer-oriented augmented reality solutions. 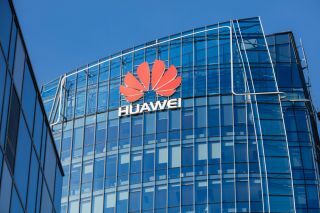 "The future is all about smart devices that will actively serve us, not just respond to what we tell them to do," said Huawei consumer business group CEO Richard Yu. "With a strong background in R&D, Huawei will work with Baidu to accelerate innovation in the industry, develop the next generation of smartphones, and provide global consumers with AI that knows you better." "Interactive technologies including voice, machine vision, and AI will drive the [mobile phone] industry forward. Originally developed to be personal tools, mobile phones will become a natural extension of the human body and AI-powered assistants for consumers," Huawei added. "Huawei and Baidu will continue to prioritise consumer needs and leverage each other's strengths to form a partnership that benefits everyone."